Blogmas Day 15 – Bookish Naughty or Nice Tag! Tag and link the person who tagged you. So far I’m on top of all of my ARCs and review requests and have every intention of finishing and reviewing them all! I’m letting myself off on this one as I haven’t really used Netgalley much yet and have only just been accepted for my first ARC. I’m not a huge fan of Goodreads, to be honest. I tried it but the thought of having to remember to catalogue every book I read and write multiple reviews felt like too much 😂 Maybe I’ll give it another go one day! I used to do this ALL the time. Now I can’t bring myself to do it and instead use bits of folded up paper. At the start of the year, I was still studying at university and there were plenty of books on my reading list that I was supposed to read but didn’t make it through. Of course! I used to do this all the time when I was at school and would always leave my homework until the last minute because I’d rather be reading. I still do it sometimes when I’m trying to put off making dinner. Sometimes it’s the only way! I used to do this a lot at university when our reading lists would be so long. More recently, I skim read A Christmas Carol by Charles Dickens as I wanted to write a Blogmas post about it (you can read it here!) but just needed to refresh my memory. I was always hyper-aware of when my library books needed to go back and was always itching to find something new to read so I never had this problem! EVERY TIME 😅 I put myself on one over Christmas as I wanted to focus on getting gifts and building up my savings but as soon as I started buying presents for other people I just had to buy a few for myself! Never. Not even in university textbooks. It always bothered me as I’d rather just read for enjoyment than to analyse the words. This is what put me off Goodreads in the first place. Before starting the blog I never kept track of when I read things or how many times so there are too many that I’d have to add. I always hate it when people do this to me so I’ve always been conscious not to do it. Back in secondary school, my best friend and I used to swap books all the time but it was mutual so much less stressful! Yep – especially if it’s someone who hasn’t returned a book of mine. I don’t tend to break the spines of my own books (my nan always call me out on this 😂) unless it’s a really thick one so wouldn’t do it to someone else’s. I’m sure I’ve done this at least once! My books take up so much room that I’ve definitely misplaced one. I guess I’ll be getting a lump of coal this year! Which list would you guys be on? ‹ PreviousBlogmas Day 14 – Christmas Characters Tag! 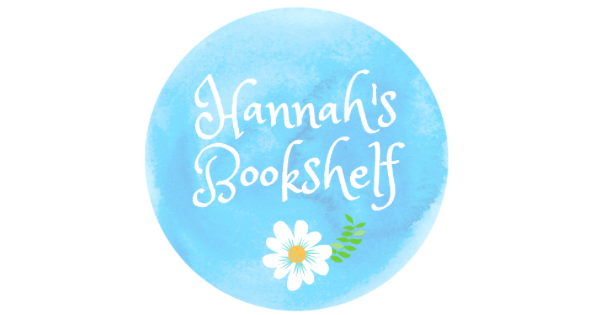 Next ›Blogmas Day 16 – Guest Post: Favourite Book of 2018 with Molly! I enjoyed reading your answers Hannah… Totally relatable with Goodreads. I also don’t read messages there. Last night I did. There’s more than 500 and it took hours to delete the old ones. The Fantastic Beasts covers are so gorgeous – I don’t know how much longer I can hold myself back! Yep, squash! As in the fruity drink, not the vegetable 😂 It’s what was in my water bottle and now my book smells slightly of peaches! Sweet… I think the smell adds more character on the book. haha. Hahaha I’m so bad for those things – I just can’t help it!